Flippers continue to suffer as inventory builds across the region. 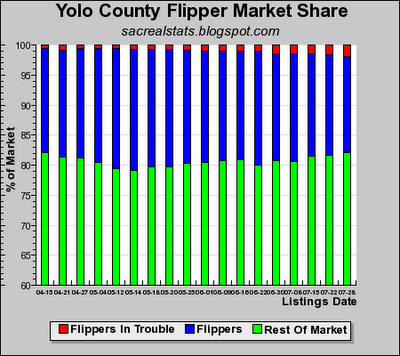 The recovery trends we saw earlier this year in El Dorado and Yolo Counties are reversing, as more flippers find themselves in trouble. 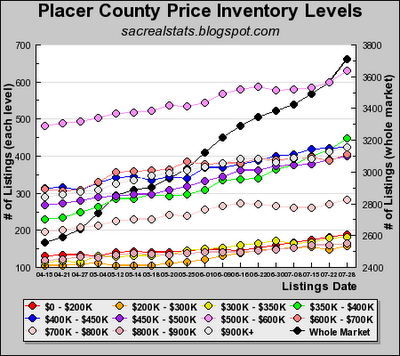 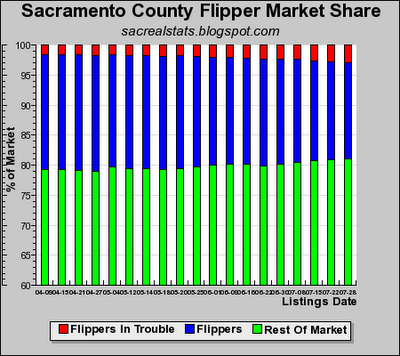 Sacramento and Placer County flipper positions are deteriorating faster than before, with one in six and one in five flippers in the red, respectively. This number is probably far worse, as discussed here on my Flippers In Trouble blog. 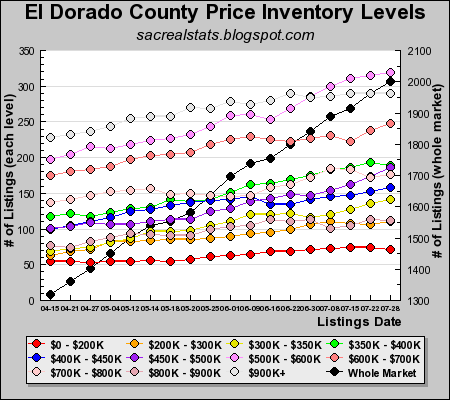 Inventory continued to pile up in the four-county area, with $200K-$400K range showing the largest increase over the past three weeks. 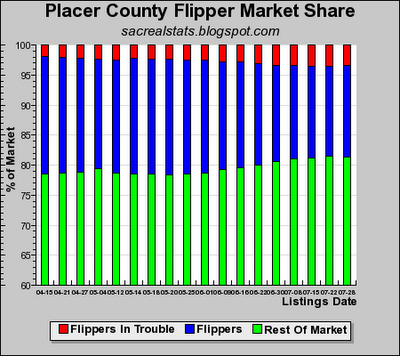 Here it is folks, the Flippers in Trouble Gallery. 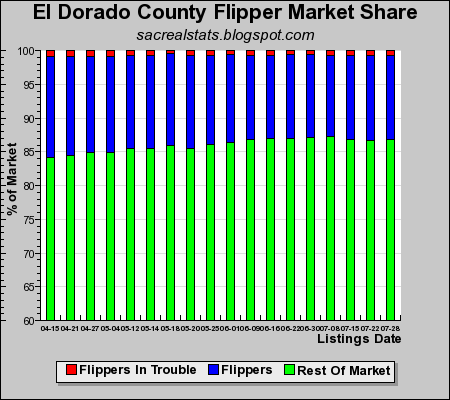 As of this writing, there are over 300 houses for sale that were bought once before within the last two years, and are being sold for less than what was previously paid. 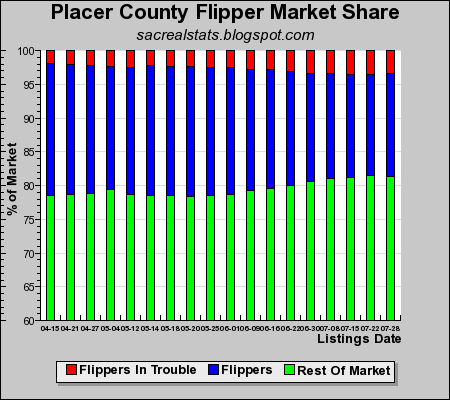 While that is a small fraction of the over 17,000 listings in the region, keep in mind that these are people losing money on an investment, not people who owe more than what they paid. 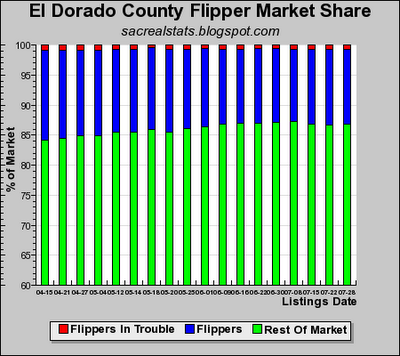 These are the flippers who were left without a chair when the music stopped, and are willing to take a loss in order to get out of the market. 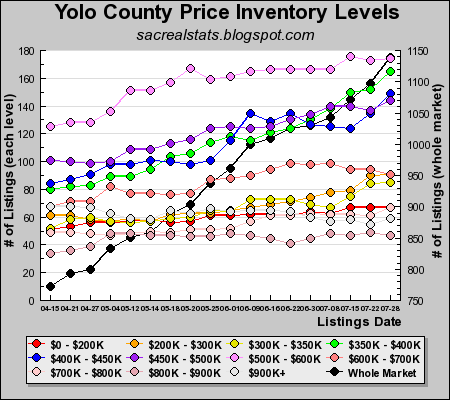 A word about data: These data are derived by comparing MLS listings to publicly available previous house sales records. 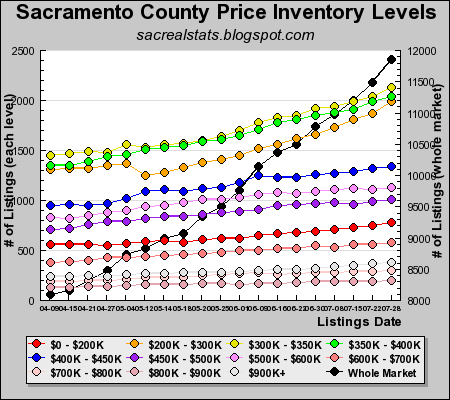 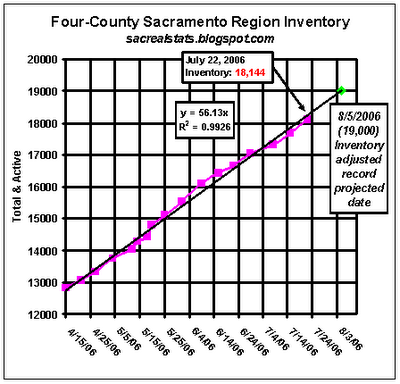 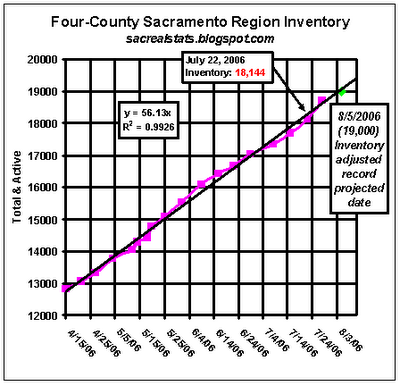 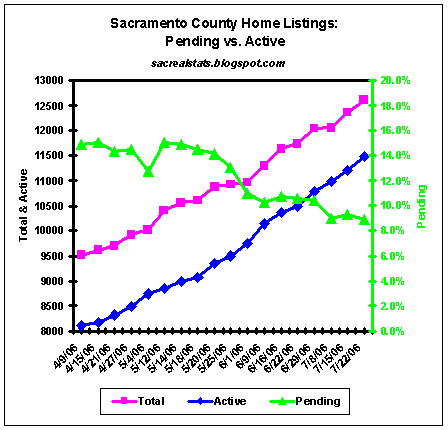 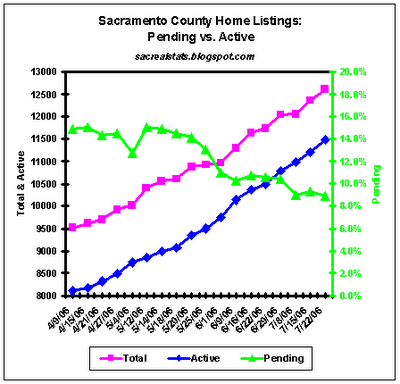 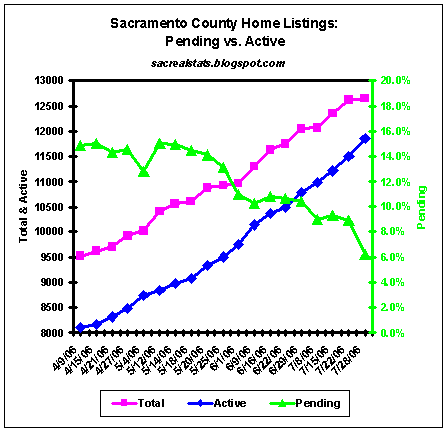 If you wish to search previous house sales for the Sacramento area, the Sacramento Bee is a good place to start.